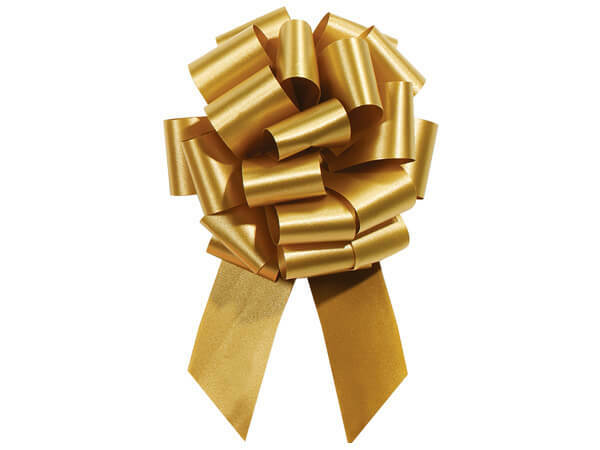 Holiday Gold Pull Bows make the perfect bow every time. Bows measures 5.5" across when complete and has 20 loops. 100% Polypropylene Flora Satin Ribbon.